The team at Edwards Fine & Country in Bournemouth presented Hope for Food with a cheque for £2,800 to buy 35 pairs of winter boots as part of The Fine & Country Foundation’s autumn grant programme. The Edwards Fine & Country team met with Claire Matthews, Founder of Hope for Food. The charity was formed in 2013 following Claire’s personal struggle out of homelessness with her three children. The charity began with a soup kitchen running one day each week, but have expanded and developed to operate five nights per week to help vulnerable and homeless people in Bournemouth. Hope for Food is run entirely by volunteers, allowing all donations raised to go to van’s running costs, food and essential items for their clients. 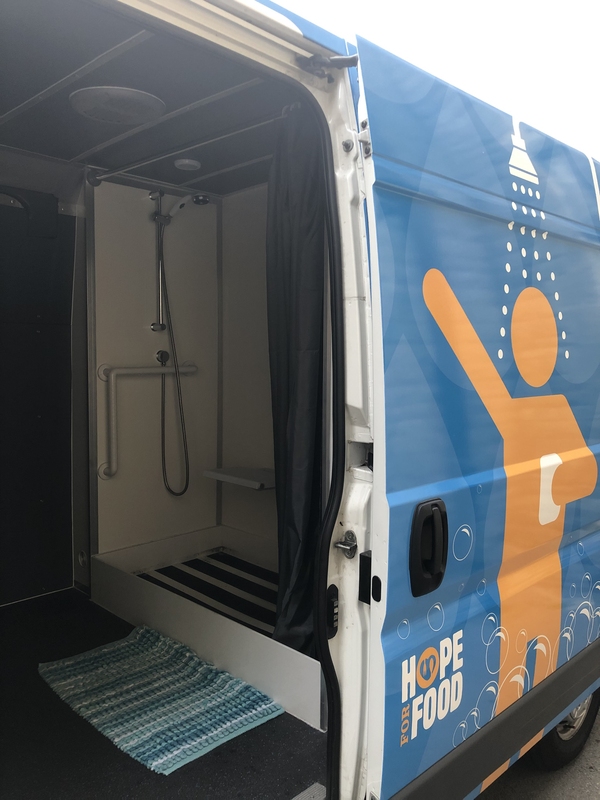 The van allows hot food to be transported and includes an inbuilt shower. 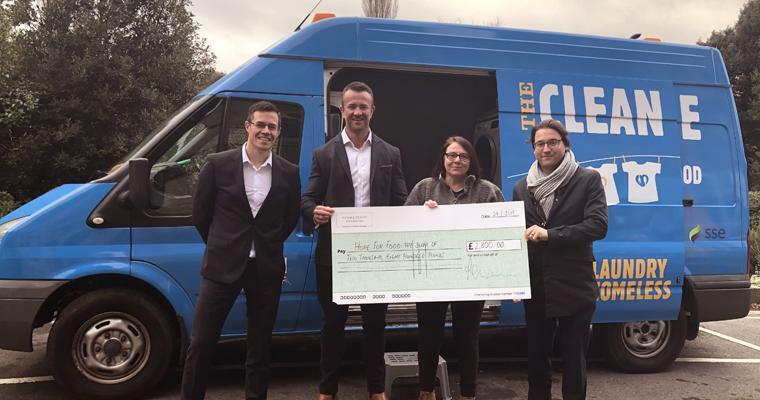 The Clean Machine travels to schools in Bournemouth to clean the children's clothes for those that do not have these facilities in their own home. Edwards Fine & Country will continue their support for Hope for Food throughout 2019 by arranging collection points at their offices in Bournemouth, Ferndown, Lower Parkstone, Verwood and Wimborne. The team are collecting the following: toys, clothes, long-life food, furniture and donations. To give your support, please contact edwards@fineandcountry.com. Hope for Food was one of 25 homeless charities to receive funding from The Fine & Country Foundation’s grant programme in 2018. The grant programme will reopen from 1st-31st March 2019 and invites registered homeless charities to apply for up to £3,000 of funding. For more information, click here. Toys - Make a note of the recommended age range. Clothes - If you are looking to move home, de-clutter and clear out those clothes you do not wear. We can use them to support Hope for Food. Please only donate those in good, clean condition. Food - Tins, packets, biscuits and just about anything that you have in your cupboards would be greatly received. Furniture - These items can be collected or dropped to the Hope for Food premises. Your time - The charity needs cooks, volunteers and anyone willing to assist. Donations - Anything you can spare will help another human being in their time of need.